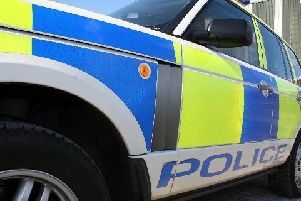 Police in Midlothian are appealing for witnesses following a serious assault in Bonnyrigg last weekend. The incident happened around 4.25pm on Saturday, January 13 on the High Street. Members of the public reported seeing two males fighting outside the Pia’s chip shop before both men then left the area. A short time later a 36-year-old man attended at the Royal Infirmary of Edinburgh having sustained injuries to his arm and abdomen. He was later released after treatment and inquiries are ongoing to establish the full circumstances. Constable Andy Palin said: “As part of these ongoing inquiries we are keen to hear from anyone who saw the disturbance on the High Street, or who can help us identify the other male involved. Those with information can contact Bonnyrigg Police Station via 101 and quote incident number 2570 of the 13th January. Alternatively, an anonymous report can be made to the charity Crimestoppers on 0800 555 111.